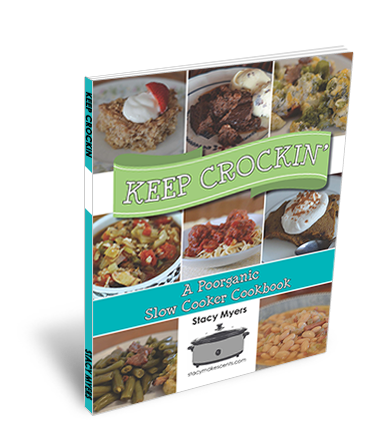 Since I'm mildly obsessed with my crockpot these days, Stacy over at Stacy Makes Cents let me review her newest crockpot cookbook, Keep Crockin': A Poororganic Slow Cooker Cookbook. This cookbook is a great addition to your home whether you're new on the path to eating healthy or an old pro! These recipes are easy to follow, don't require any outlandish ingredients you've never heard of before and taste pretty good! I like this crockpot cookbook because it doesn't call for anything packaged like cream of chicken soup, but at the same time the meals don't break the bank. (Hence the term, Poororganic) :) This means I can feel good about what I am feeding my family, but also feel good that I'm not overspending in order to accomplish that goal. Keep Crockin' has 55 recipes and sells for $8 for the e-version, but you can also get the print edition on Amazon for $10.80. Click here for the recipe line up if you're interested. Each recipe comes with a beautiful color photograph (I love cookbooks with pictures! 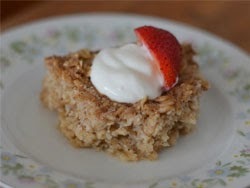 ), plus a review from someone else who has tried the recipe as well as a humorous commentary from Stacy, the author. Stacy has also included measurements in almost every recipe for those who might want things to be sugar free. When applicable, you’ll see stevia/xylitol/sucanat in these recipes. That way you can choose which one you like best. I am very honored that you would review my book. :-) Thank you. You are most welcome! Thanks for the opportunity!